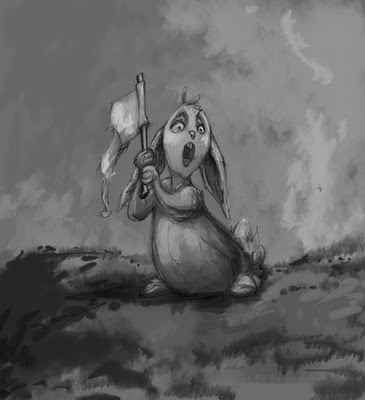 A last minute illustration Friday entry which unintentionally coincides with the Chinese New Year: Year of the Rabbit. This is my first digital painting with a Wacom tablet! woohoo! I'm learning new things. eventually, I'll be confident enough to work in color. But for now, this is good practice.